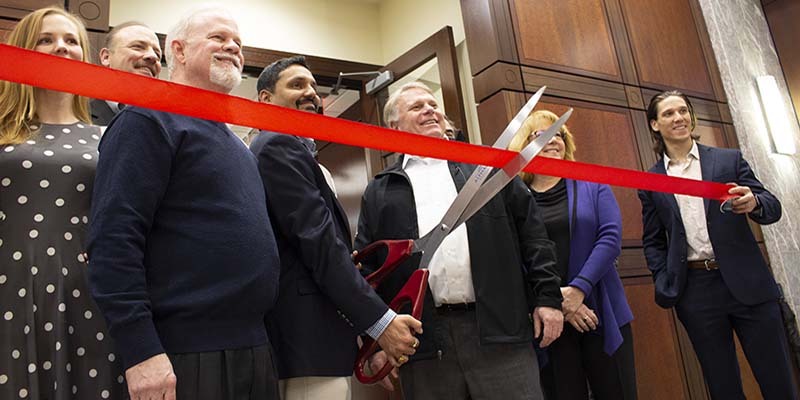 This past Wednesday, DataSeers held an official Ribbon Cutting ceremony to celebrate the grand opening of its new office located in the heart of the Alpharetta business district. 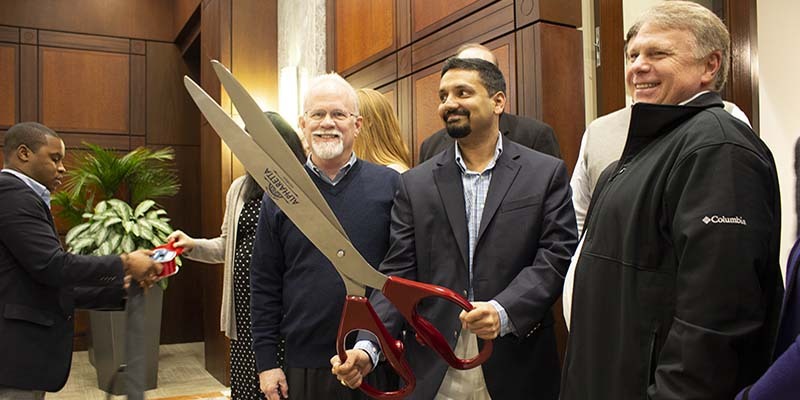 DataSeers’ founder and CEO, Adwait Joshi, and the mayor of Alpharetta, Jim Gilvin, cut the ribbon together to ceremoniously announce this new chapter for the Fintech. 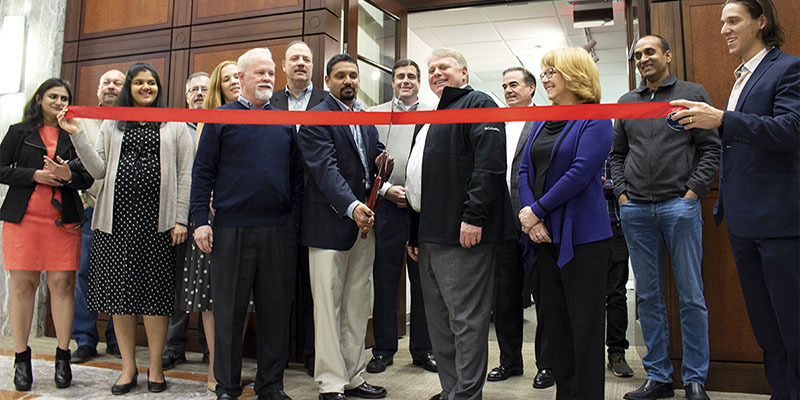 The DataSeers founder and CEO, Adwait Joshi, and the mayor of Alpharetta, Jim Gilvin, cut the ceremonial ribbon together. “Congratulations! 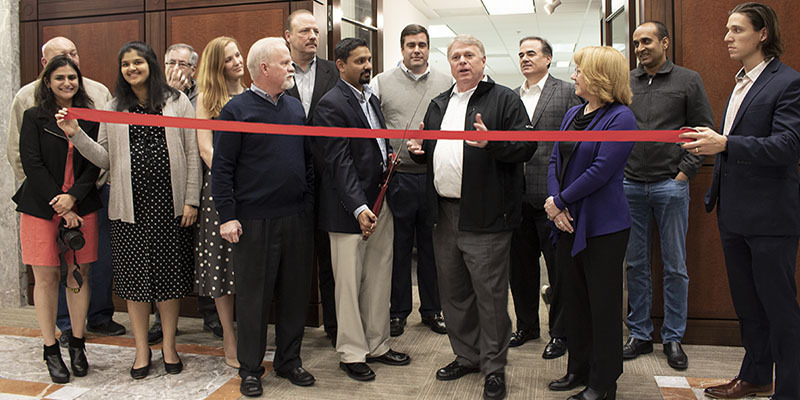 We are excited to have you here in Alpharetta,” Jim Gilvin said. “Thank you to all who believed – and continue to believe – in DataSeers. From the beginning, I knew that with dedication and hard work, we would make this happen, and we did. Building a company from the ground up is no easy task, but when you have the right product and innovative vision, anything is possible,” said Adwait Joshi during the ceremony. “I am also incredibly proud of my team. A great company can’t succeed without the right people, and I am thrilled that they have chosen to work for me and put their time and effort into helping me grow this business into everything I always knew that it could be,” Joshi added. Launched in 2017, DataSeers saw huge growth right out of the gate. On the heels of a second profitable year in a row, the company has been named one of the Top 40 Innovative Technology Companies in Georgia by the Technology Association of Georgia. In light of this initial success, moving out of the Tech Alpharetta incubator space and into their own brick-and-mortar was the logical next step for this blossoming new startup. “The time you spent with us in Tech Alpharetta was wonderful for all of us. We were equally inspired by what you and your team are accomplishing. And we couldn’t be more thrilled to see that you decided to make Alpharetta your home,” said Karen Cashion, CEO of Tech Alpharetta. DataSeers is now focusing on plans for international expansion. The company is entering the APAC region by opening its first international office in Mumbai, India, mid 2019. DataSeers is a new-generation FinTech operating within the banking and payments industry with a focus on emerging payments such as cryptocurrencies and prepaid. Back-office issues such as Compliance, Reconciliation, Fraud, and Analytics are tackled and simplified thanks to the company’s premier appliance, FinanSeer. It uses a powerful combination of AI and ML algorithms to detect anomalies in data and spot potentially fraudulent activity. The appliance uses the HPCC Systems platform, a Big Data Technology from LexisNexis Risk Solutions. It is fast, flexible, secure, and scalable. Today, FinanSeer is responsible for keeping 200+ million card accounts and 1.5+ billion transactions in check every day.